MY SISTER IS A HUMBLE GIRL WHO UNDERSTAND AND CARE FOR EVERYONE. 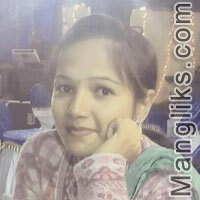 SHE HAS MBA FROM RANCHI UNIVERSITY IN HR AND MARKETING. WE NEED A SIMPLE BOY WHO CARE FOR EVERYONE.